Our latest book began about 8 years ago as a series of Friday khutbahs delivered to men in correctional facilities. 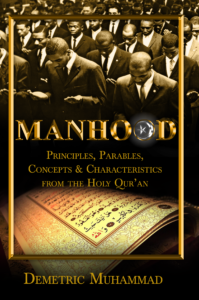 It presents a study of the Holy Qur’an devoted to mining out of its treasure of knowledge, wisdom and understanding principles that support proper masculine development. A key feature of the book is our approach. We have taken the view that the study of Allah (God) provides the blueprint for proper masculine development; especially of men who desire to become men of God. 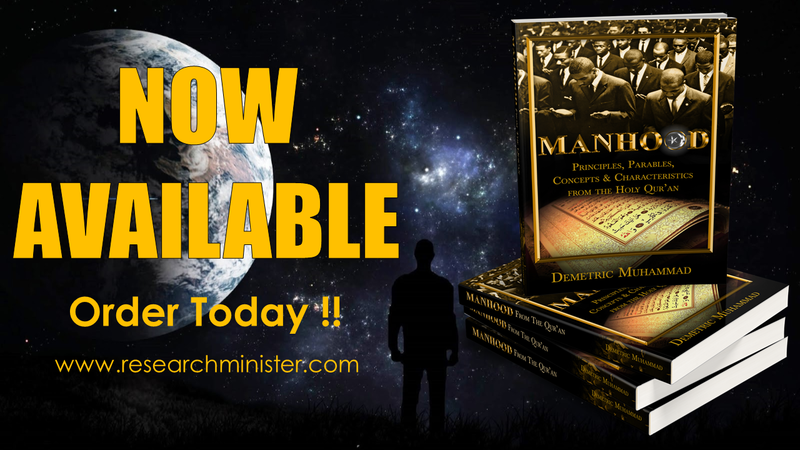 Running throughout each essay is the inclusion of ideas, timeless maxims and teachings from the Honorable Minister Louis Farrakhan and the Most Honorable Elijah Muhammad that they have espoused and promoted over their long history of developing the esteemed and admired class of men known as the Fruit of Islam. This book while being a value to any man in search of becoming a better man will be of great value to believers in the Holy Qur’an. Each section explores relevant themes that are important lessons drawn key Quranic passages and definitions of select Arabic terms and concepts. Previous PostPrevious NEW ORLEANS MINISTER: Minister Farrakhan Speaks A Hard Truth to Our Enemies, Just like Jesus did to His!